Anyone who lives in Vermont's Champlain Valley has likely heard the voices of Mike Czarny and Mary Cenci over the years. 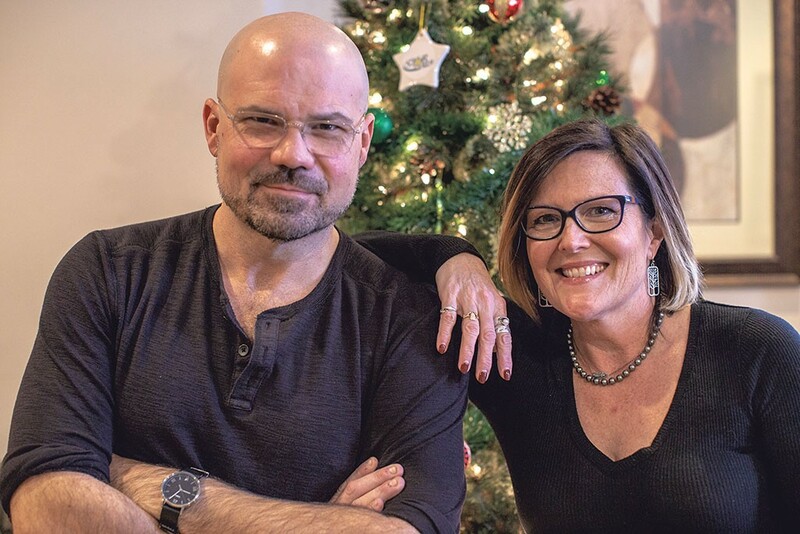 The duo hosts "Mike and Mary in the Morning," on commercial FM station Star 92.9, every weekday from 5 to 9 a.m. With charm, humor and familiarity with their listeners, they have built up a strong following on the dial. The game changes every holiday season, however, when Star switches from '90s hits to all Christmas music, all the time. Is it merry, or is it hell for the radio hosts? Seven Days visited with Mike and Mary to find out what it's like when their job goes to the North Pole. SEVEN DAYS: When did this madness start? MARY CENCI: Oh, I want to say ... at least 10 years ago? MIKE CZARNY: I'm not even sure anymore. I think longer than that, honestly. SD: What's this do to you emotionally? Do you still get excited for it? MIKE: Oh, very excited. I actually listen to Christmas music sometimes in July. MARY: The anticipation is really, really something around the building this time of year, seriously. Even more so with the listeners. I get so many requests, so many emails, weeks before we start. People want to hear their favorite songs or talk about their favorite traditions. I've had a couple people ask us to play the first song after the switch earlier in the day because they have these in-office bets as to what the first song of the year will be. SD: With the multitudes of holiday music, how do you choose what to play? What makes the cut? MARY: I actually work with someone who does that for a living. I don't pick the songs. MIKE: We have a consultant that helps us with selecting the music, uses national playlists — what other stations are doing across the country, that sort of thing. For instance, we'll hear that "All I Want for Christmas Is You," by Mariah Carey, has been No. 1 for about a million years now, or that people also want novelty songs like "I Want a Hippopotamus for Christmas," or the Chipmunks singing. SD: I always wondered how much that Mariah Carey song was played. MARY: If you ask me, not enough! MIKE: How many times did we play Celine Dion's "My Heart Will Go On" when Titanic came out? In this industry, you have to be a slave to the numbers, and the ratings indicate that, every year, we're doing the right thing, because they spike. SD: Seeing as this happens every year, have you noticed the popularity of certain songs shifting one way or the other? MIKE: You know, there's been a lot of political things coming out, stories about songs like "Baby, It's Cold Outside" and how some stations aren't playing it. But we try to keep with the traditional mind-set. MARY: We haven't modified our playlist or anything. MIKE: We respect the song's origination, its tradition and where it came from. MARY: As far as one song being more popular, it's always hard to say, because everyone has a different favorite, whether it's from growing up or any number of traditions, really. Every Christmas song can be a favorite. MIKE: Like Bing Crosby's "White Christmas." People just love it, because it's a hit. A hit is a hit is a hit. MARY: Listeners might request more songs like "Hippopotamus" because it isn't in our normal rotation as much. SD: I need to check out this hippo song; I've never heard it. MIKE: I know the person who sings it, Gayla Peevey. MIKE: Yup. We might have to call her. SD: I clearly don't know my stuff. So what's the new hotness, then? Who's making the new Christmas classics? MARY: "Candy Cane [Lane]" by Sia is a new one we're playing this year. Gwen Stefani's new songs as well; people like those. Of course, Taylor Swift always does well. I love all the new stuff, but my favorite is always going to be Bing Crosby and David Bowie's "Little Drummer Boy." SD: They reportedly couldn't stand one another. I could watch the video for days, though, just because of Bowie's facial expression. MIKE: For me, I love Dan Fogelberg's "[Same] Auld Lang Syne" because it's such a difficult story to digest, with all the nefarious things that are happening. But it's such a pleasant, lovely sounding song that puts me in a melancholy place. I just feel so bad when the girl drops him off in the rain at the end of the song. It left an emotional impression on me, so I love it. MIKE: She's cheating on her architect husband, who she admits in the song that she doesn't really love! It's just a heart-wrenching tale. And it's about New Year's Eve, for God's sake! MARY: He's not a therapist, Mike! SD: I'm really not, but I think I'd need one after this much Christmas music. You guys seem to be all in, but there have to be some songs you just hate to hear. MARY: "The Twelve Days of Christmas," because it's just counting! Counting and repeating, ugh! MARY: And it's not like you ever remember them all. Like, I can't remember what seven is right now. No idea. MIKE: For me, it has to be "I Want a Hippopotamus for Christmas." SD: This is getting out of hand with the damn hippo. MIKE: Oh, my God! Drives me crazy; can't stand it. She's, like, 70 now, but she was a little girl when she sang it. MIKE: I'd be all right without it. SD: Have you ever considered putting some local musicians in the mix? Swale does some killer Christmas stuff. Kat Wright and Josh Panda, as well. I'd just bet the new Savage Hen Christmas record would fit right in next to some Frank Sinatra. MARY: Well, probably not, honestly. Star is more about going for the masses and the wide appeal, you know? MIKE: We love the local music scene; there's so much talent. But the station defers to national playlists. SD: Gotcha. 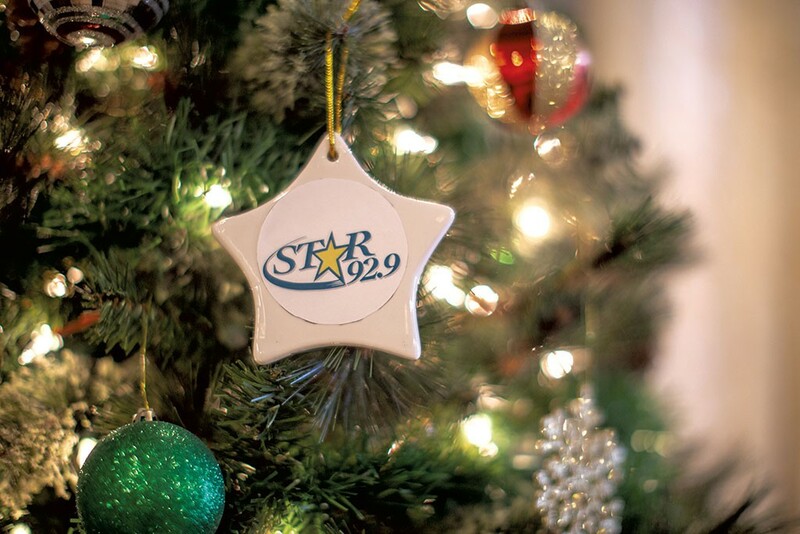 Does the station see a big bump in ad revenue during the holiday music switch? MARY: Absolutely. There's a big bump in ad revenue. Listeners, as well. MIKE: We also see a bit of a switch in our listenership. We'll find we have a new crop of listeners every year, which is exciting because they get exposed to our product. We can grow the show, grow the station, so that, come January, we'll have some residual listenership from the Christmas music. SD: Well, you two are the closest thing to Christmas experts I know now, so even though this isn't about the music, I have to ask the big question: Is Die Hard a Christmas movie? MIKE: Yes! Though I think Bruce Willis said at the end of his Comedy Central roast that it is not. MARY: He did, but it is. SD: It's a Christmas movie. MIKE: We all agree. It's a Christmas miracle!